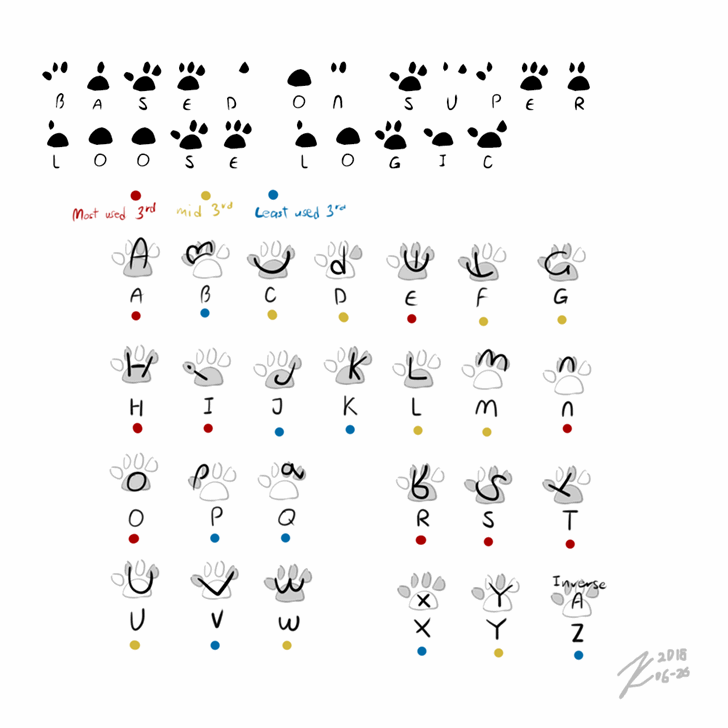 A silly font I made for fun, the idea was an alphabet that a cat can write with just the pads on its paw. There are two variants, "scribe" for those who want to be able to read what they type, and "loremaster" which is only really useful if you want to role-play as a cat. The non-alphabet characters are from the font Indie Flower, by Kimberly Geswein (kimberlygeswein.com) released under the OFL.